Michelle Mills - Ind. Stampin' Up! Demonstrator Brisbane, Australia: Get a FREE card kit! 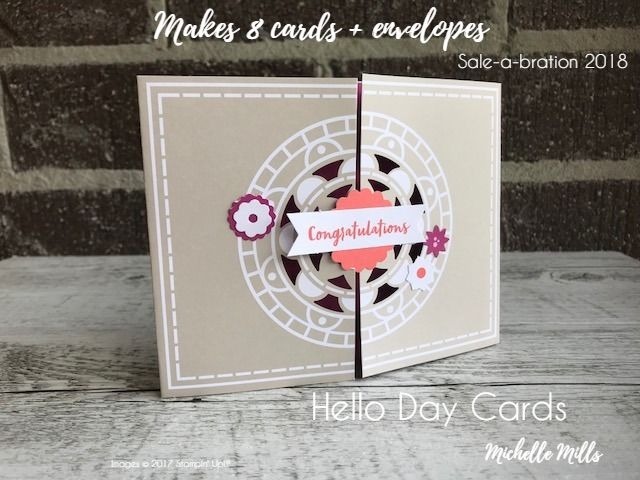 Get a FREE card kit! Sale-a-bration is just around the corner, kicking off on January 3rd. There is a brochure FULL of gorgeous items you can choose from when you spend $90 or more. This card kit is one of them. It's called the Mixed Medallions Card Kit and it comes with everything you need to put them together. No stamping needed for this kit, all you will need is some adhesive of your choice. The kit makes 8 cards and comes with envelopes. I particularly love how these open, something a bit different. Plenty of room to write your message or even stamp your sentiment in if you wish. 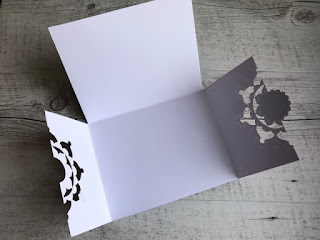 So for some quick and easy cards to have on hand at a moments notice, this kit is perfect! Remember, you can earn it for FREE during Sale-a-bration 2018 starting January 3rd. Just spend $90 AUS or more on your Stampin' Up! order and you can choose this kit or any other item in the Sale-a-bration Brochure. You can choose 1 item for every $90 you spend.